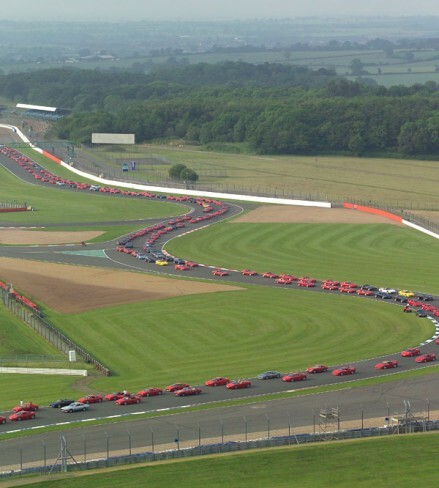 A huge gathering of 964 Ferraris converged upon Silverstone Circuit in the UK this past weekend to assist in setting a new Guinness World Record for the largest single containment (?) of Prancing Horses ever seen. 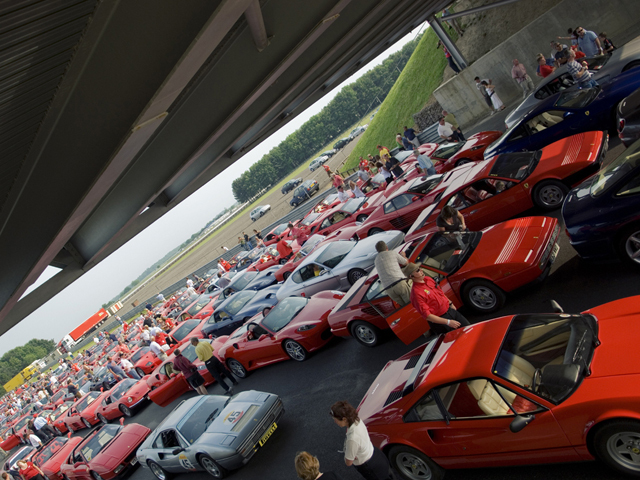 Although the turnout was shy of the expected 1000 cars, it obliterates the previous record of 490 Ferraris having a chat in 2008 at the Fuji Speedway Circuit in Japan. Along with the massive collection of Ferraris of all vintages to oggle at, Ferrari UK also brought along the new F12 for attendees to pore over and ponder. 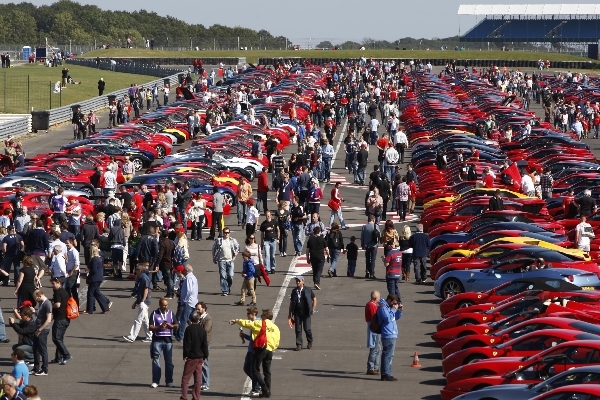 The event itself was coordinated by Ferrari and the British Ferrari Owner’s Club, who had a hand in bringing 60 Ferrari F40s together at Silverstone back in July of this year. One of the promises Ferrari made this weekend was to donate 5 British Pounds to charity for each Ferrari that showed up. In the end, 4,820 GBP ($7,819) was raised. According to Ferrari, all of the pertinent areas were met with regards to scrutineering by the Guinness World Record-folk and the record should be confirmed by the end of this week. Great job, Ferrari-owners of the UK..!